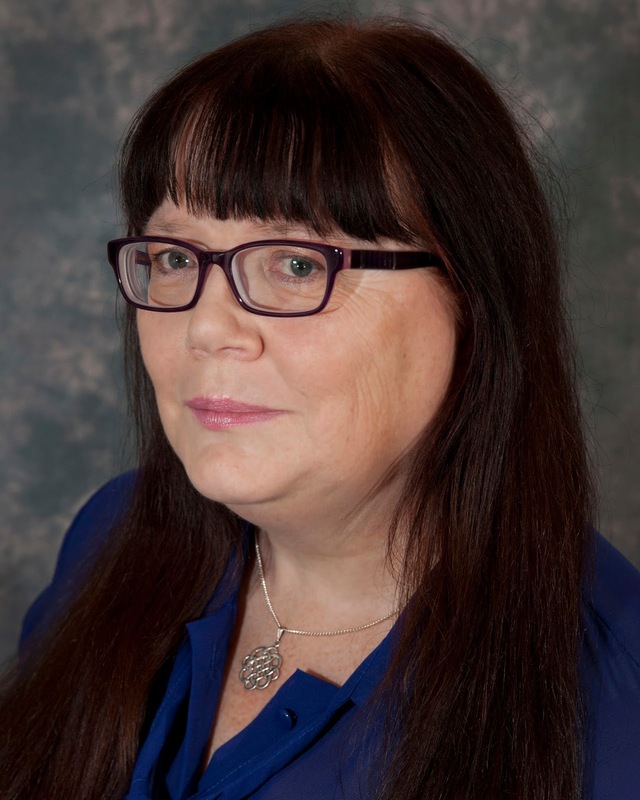 Today I am delighted to welcome Elaine Everest. This was such an enjoyable interview to do – like taking a trip down memory lane. Thank you for inviting me to your blog, Natalie. Many of us will remember the iconic fascia that was Woolworths, sadly no longer a part of our high streets. What prompted you to choose them as one of your major characters? I appreciate that you wrote about an area in which you lived and were raised but you aren’t old enough to remember the events you describe, in fact you weren’t even born when they occurred. How did you undertake your research? I grew up listening to stories of the area told by my family. In fact there is still a strong connection between ‘old locals’ of the town who meet on forums to chat and share memories of the good old days. To a writer this is a gift. Although we were never taught the history of WW2 whilst at school in the sixties, I’ve devoured history books to find out what happened. It fascinated me that the house I lived in when first married had survived both wars. Where better for the Caselton family to live than my old home? Local history archives held at The London Borough of Bexley were a great help, as was Erith Historical Society and the wonderful Woolworths Museum who came up with some gems about the Erith store that I was able to include in my story. The Woolworths Girls tells the story of three friends, though one stands out as your main protagonist. Is this a theme you plan to carry through to your next book? Yes. You will find this theme in many WW2 sagas. Three, four, even five friends who are thrown together in wartime sharing good times and bad. Speaking of your next book, is it in the pipeline and what can your readers expect? In The Butlins Girls, due for publication in Spring 2017, there are three girls thrown together at Butlins Skegness in 1946 just after WW2 ends as Billy Butlin reopens his well-known holiday camps. Molly Missons has fled Erith because of a family problem, aided by another friend who appeared in The Woolworths Girls. Each girl has her own reasons for being at Butlins which we find out as the story unfolds. It’s been a long while since acceptance of your manuscript by your publisher, Pan Macmillan, to today’s publication. Can you tell us something about the process of assembling all the ingredients together to getting them onto the table? These days authors seem to expect their novels to be published much quicker due to E-books and digital first. In truth it has always been the norm that traditional publishers contract books for the following year or even the year after that. Copy for The Woolworths Girls was filed at the beginning of last year and then the hard work began. Structural edits came first with the book being passed through each editing stage until Pan Macmillan and myself were happy with the book. Along the way I wrote the ‘end bits’ and I was included in the design of the cover – isn’t it lovely? My input was encouraged as models were chosen and the uniforms discussed. Then the PR team took over and that alone has been – and still is – another part of an exciting journey. As publication day draws near I’m already working on the edits for The Butlins Girls and planning my book for 2018. You haven’t always written novels. What came before? I’d always wanted to be a novelist but first, whilst honing my skills, I was earning a living with other forms of writing. I sold over sixty short stories to Women’s magazines and wrote prolifically for newspapers and magazines with features – my specialism was the canine world as it’s a big part of my life. I’ve been commissioned for, and written, three non-fiction books for dog owners and do continue to write for some of the publications. I’m called upon to broadcast about aspect of the dog world although I’ve given up my columns to focus more on my novels. Whilst promoting The Woolworths Girls it has been good to have the support of many publications and radio stations that I’ve worked for in the past. I also won, or was placed, in a few prominent writing competitions that not only helped me along the way to being a novelist but still look good on my writing CV. One was the BBC Radio Kent short story writer of the year and to this day the company have supported all my work, be it The Write Place creative writing school, charity anthologies such as Diamonds and Pearls which celebrated my thirty year remission from breast cancer or my books. As a journalist and someone who runs a creative writing school, as well as being a novelist, how do you prioritise your time? I have no idea! At times it can be hard to juggle everything. All I can do is make a list and try not to panic. However, my priority has to be my novels as that is my career. Everything else has to wait. Finally, what do you do for relaxation – that is, if you have the time! My relaxation is my dogs, or dog at the moment. Although I no longer sit on committees or write so much about the dog world I still like to get to dog shows and exhibit my Polish Lowland Sheepdog, Henry. I’ve been involved in dogs since the early seventies and like to promote the image of pedigree dogs as much as I can. These day we try to go away for the weekend and take in a championship show. It is so much more relaxed than the days we would drive to Wales, show a couple of dogs and then drive home all in one day – there again it's not always possible to do this on our motorways anymore. I’m hoping to have another puppy soon but not sure if it will be another Polish Lowland or my one true love – the Old English Sheepdog. I miss having them in the house. Thank you, Elaine. 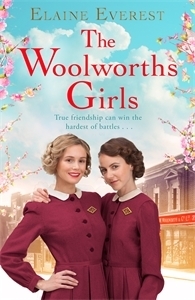 Happy publication day and good luck with The Woolworths Girls. Thank you, Francesca. I had a good subject! Great stuff, as one of her creative writing students, I look forward to reading Elaine's new novel. A lovely and enjoyable interview. Congratulations Elaine, I think this book will be iconic. Glad you enjoyed it, Elaine. i agree with you. I think The Woolworths Girls will be on bookshop shelves for a long time to come.